pav sandwich recipe | how to make masala pav sandwich recipe with detailed photo and video recipe. 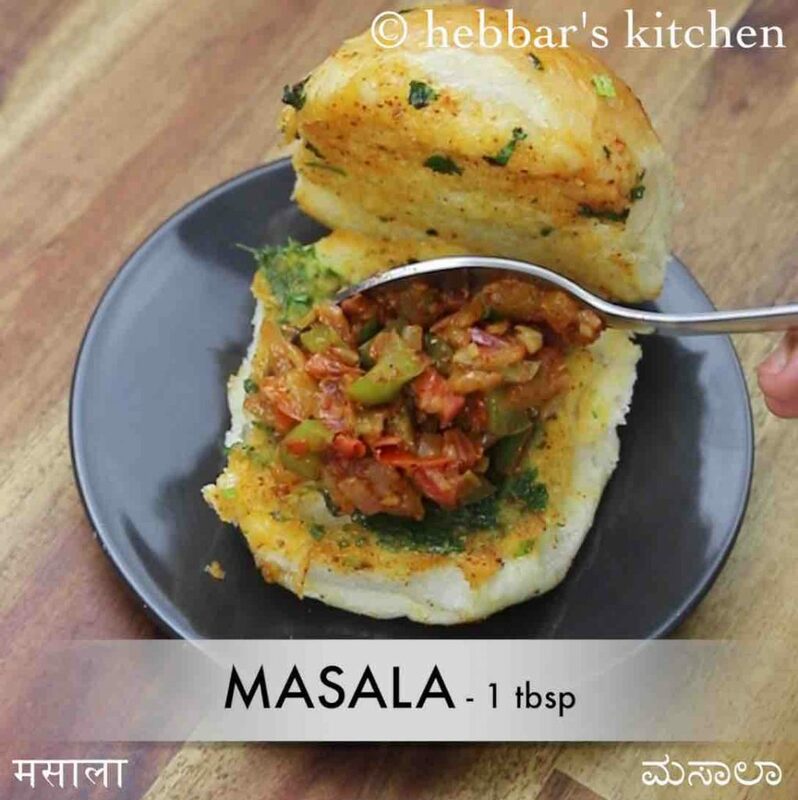 a popular street style sandwich recipe made with indian pav and street food stuffing. 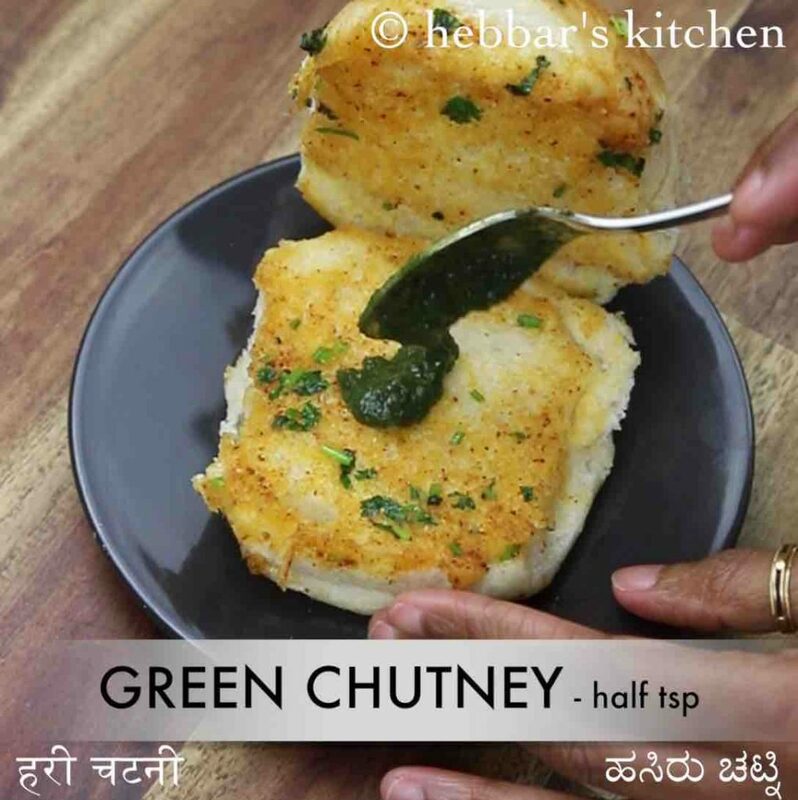 it is widely known as a quick and easy hack sandwich recipe which can be served as chaat recipe. 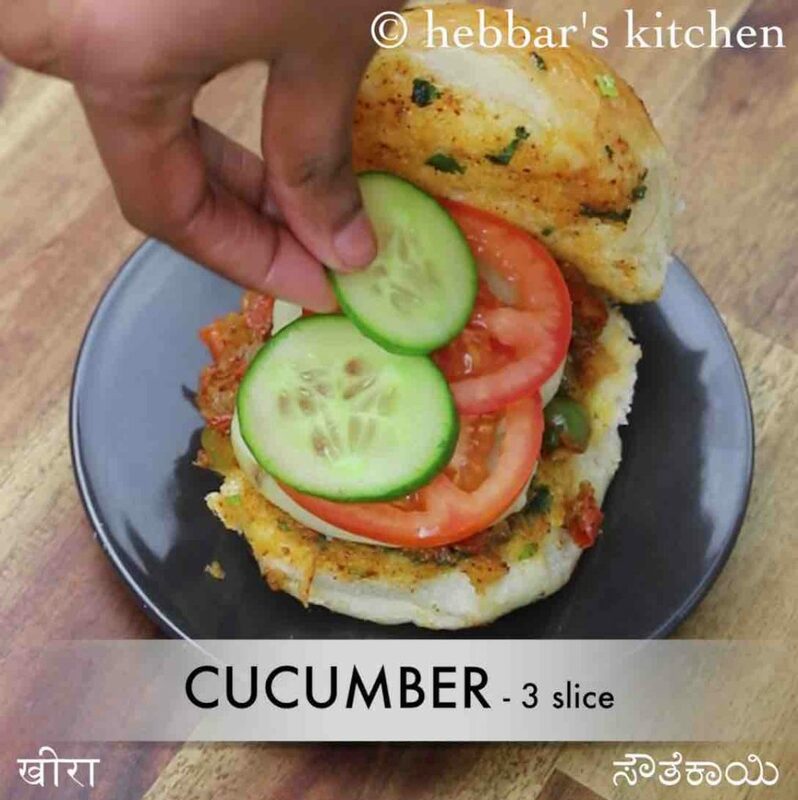 the recipe is open-ended and can be stuffed with a wide variety of veggies, but in this potato, cucumber and tomato slices are used. 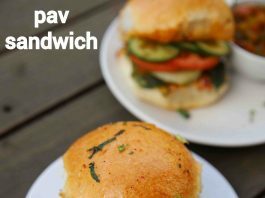 pav sandwich recipe | how to make masala pav sandwich recipe with step by step photo and video recipe. the sandwich recipe is not native to indian cuisine, but have been gracefully accepted by all of us. it is not just limited to morning breakfast and has entered to streets as street food. 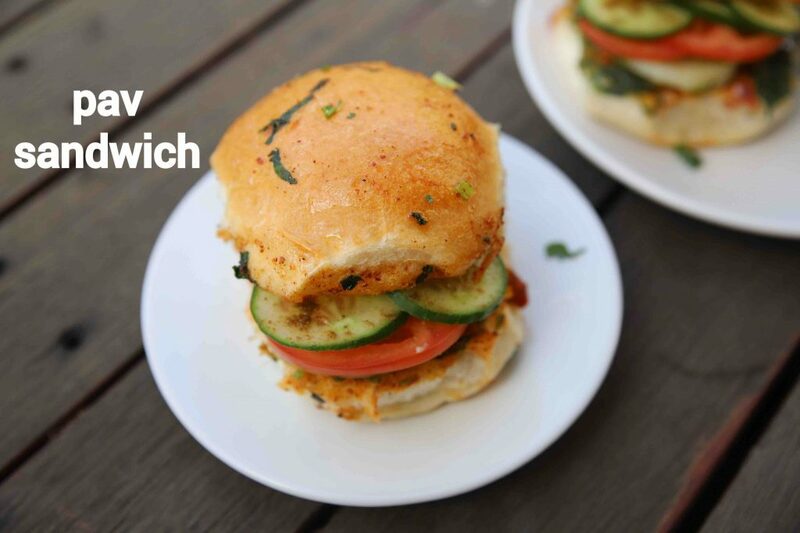 one such popular mumbai sandwich recipe is pav sandwich recipe, made with sliced veggies with pav bhaji masala. as i mentioned previously, pav sandwich recipe is purely open-ended and can be done with myriad options and ingredients. in this recipe, i have used boiled and sliced potatoes with cucumber and tomato slices for stuffing. 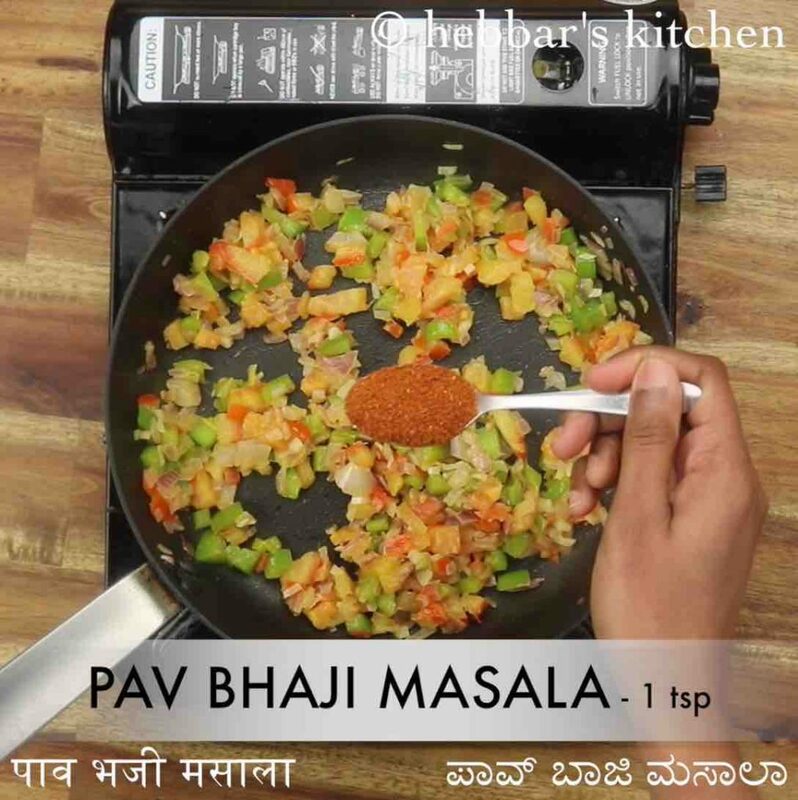 alternatively, you can mash the boiled potatoes and mix with spices like chaat masala, salt and red chilli powder to make a patty. later you can use this for stuffing with other veggies topping. 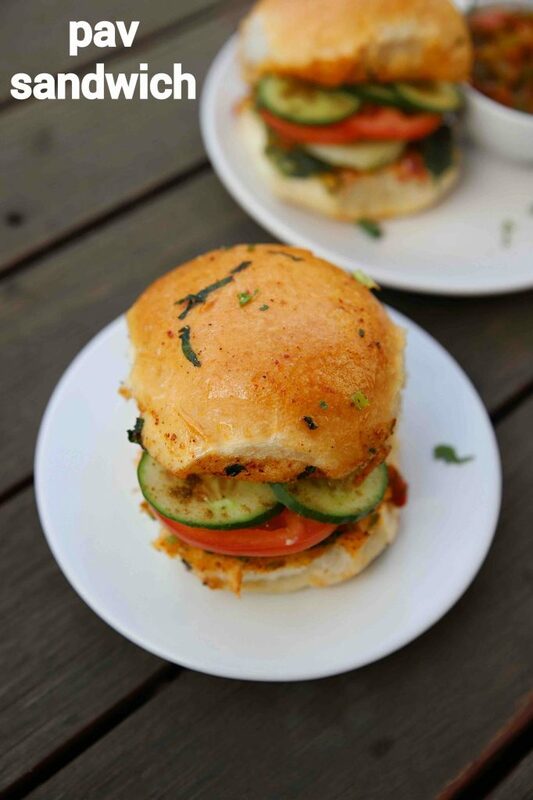 in addition, you can also use leftover pav bhaji and stuff it to the pav to make pav bhaji sandwich. basically, there isn’t any hard and fast rule to follow for this masala pav sandwich recipe. 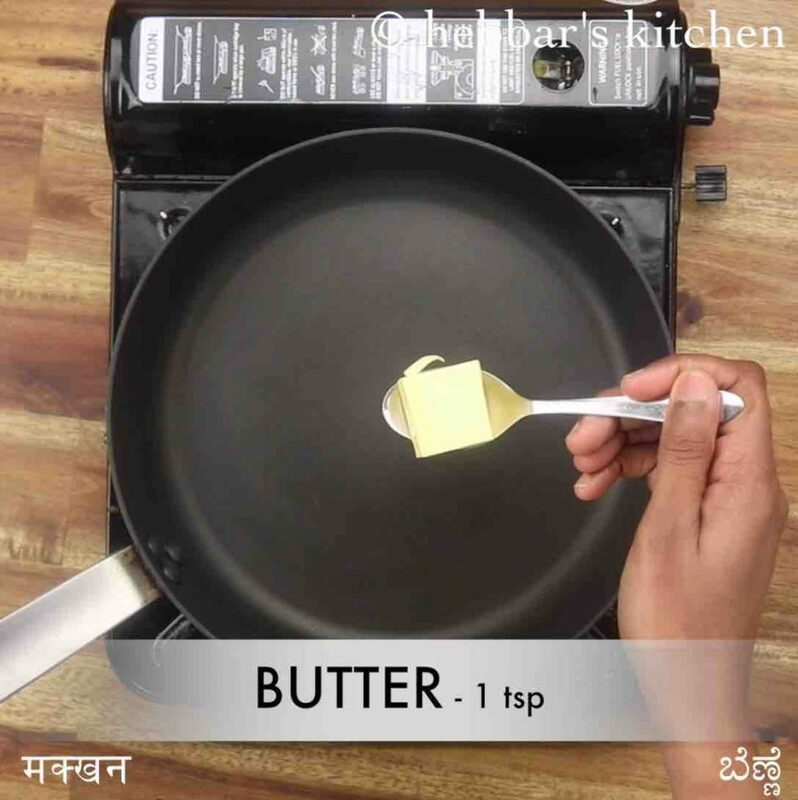 further, i would like to add some more variations and tips while making masala pav sandwich recipe. firstly, this recipe can be made with normal white sandwich bread or even brown bread as an alternative option. i personally like it with pav and use the later options only if you do not have access to it. secondly, you can mix and match with the veggie options and just not limit with options listed in this recipe. lastly, these sandwiches have to be served immediately once it is assembled. hence assemble it when it is required and ready to be served. firstly, heat 1 tsp butter and saute 2 clove garlic. also saute, 1 onion until they shrink and change its colour slightly. 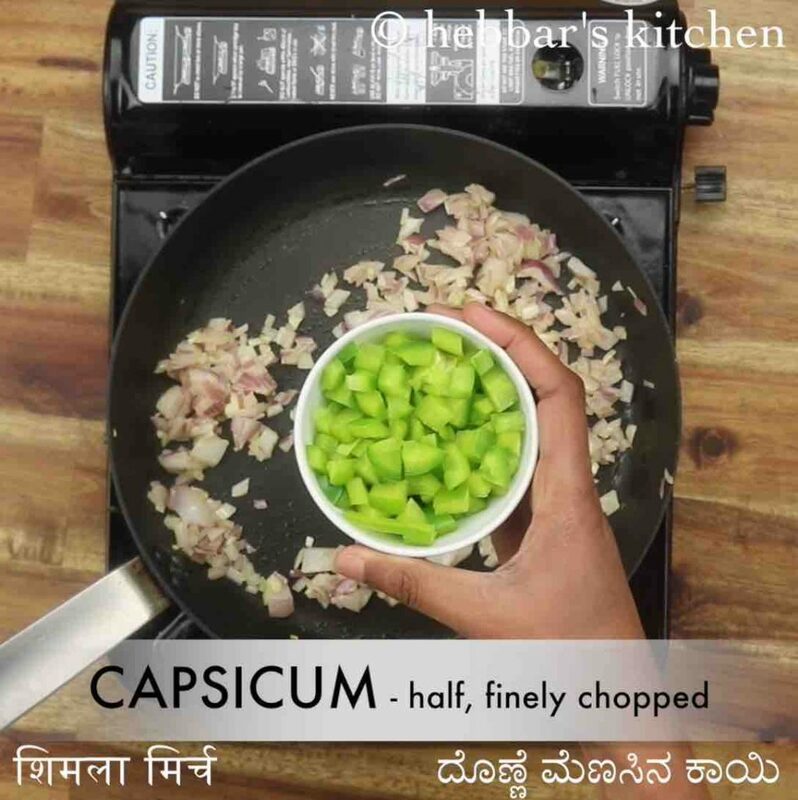 additionally, add ½ capsicum and saute well. now add 1 tomato and saute until the tomatoes turn soft and mushy. further, add 1 tsp pav bhaji masala and ¼ tsp salt. saute for a minute. 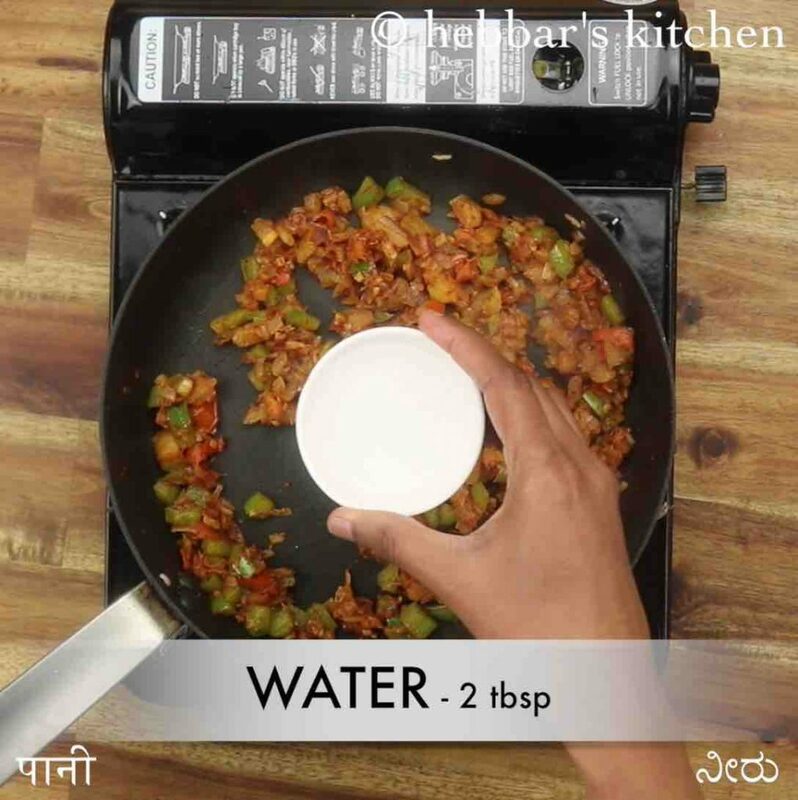 add 2 tbsp water and mix until the masala is combined well. keep aside. 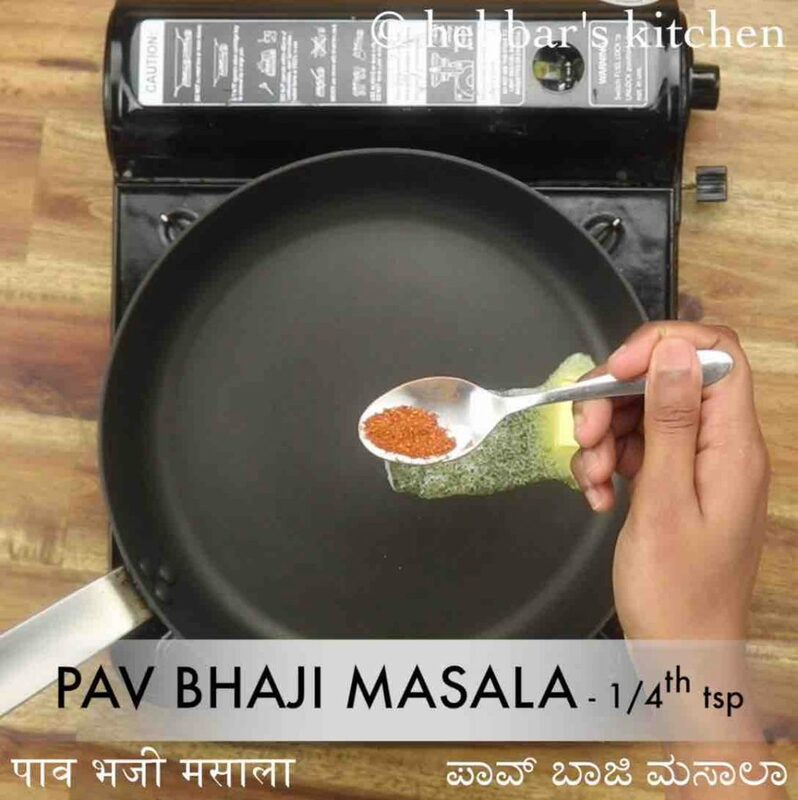 in a pan heat ½ tsp butter, ¼ tsp pav bhaji masala and 1 tsp coriander. 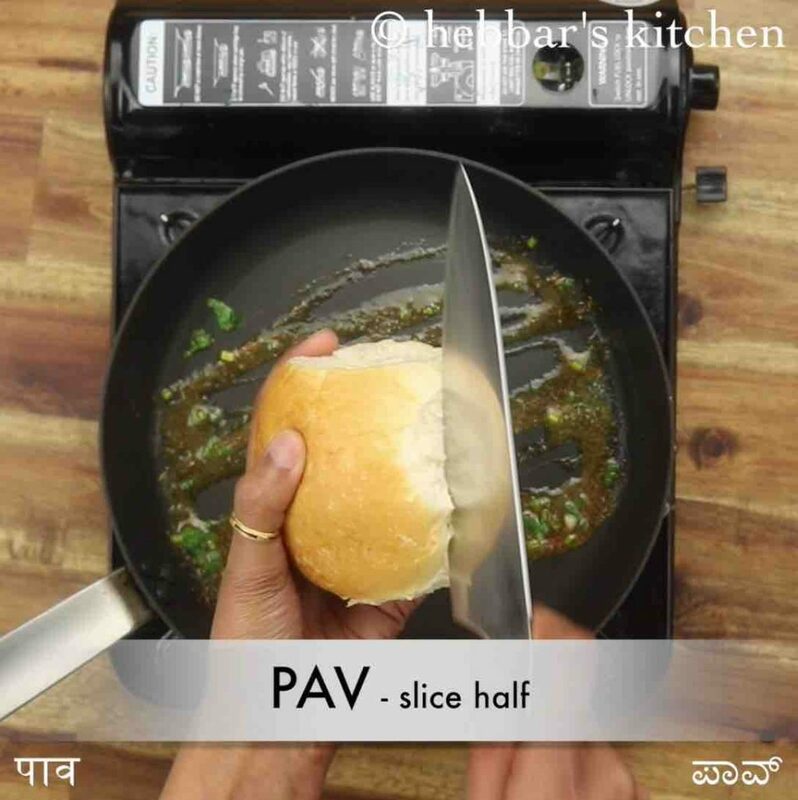 slice the pav in half without cutting completely. 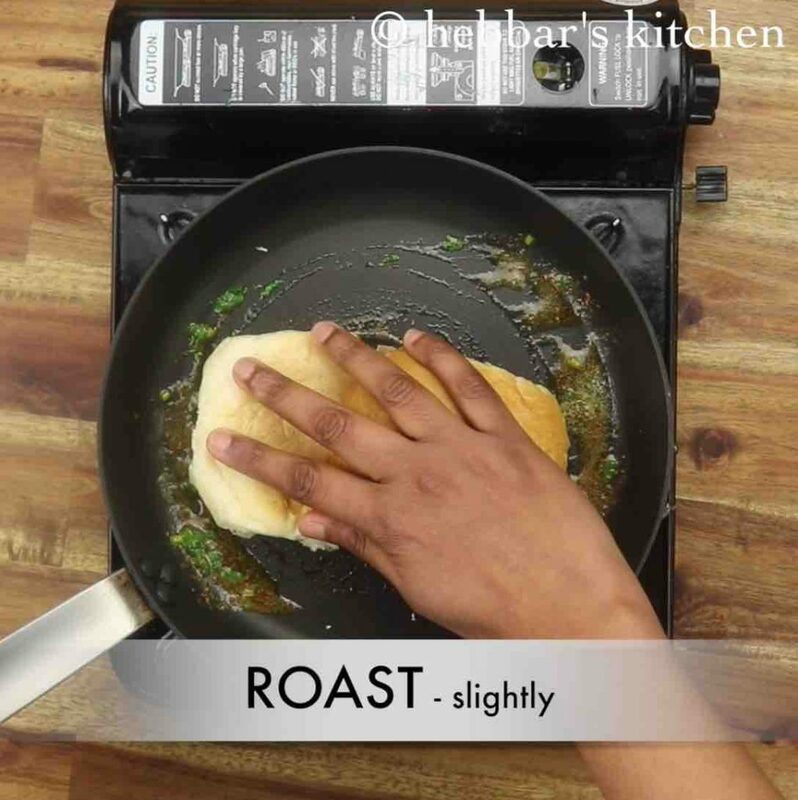 roast on both sides for a minute. now spread ½ tsp green chutney on one side. also spread with 1 tbsp prepared masala. 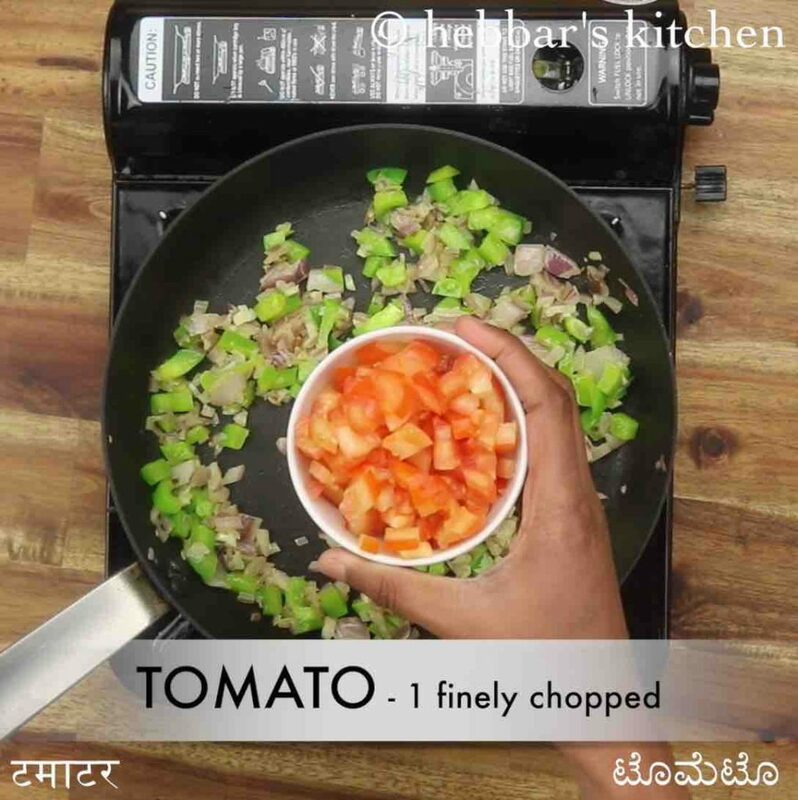 top with 3 slice boiled potato, 2 slice tomato, 3 slice cucumber and pinch of chaat masala. finally, enjoy pav sandwich as an evening snack. firstly, add grated cheese along with stuffing to prepare cheesy masala pav recipe. 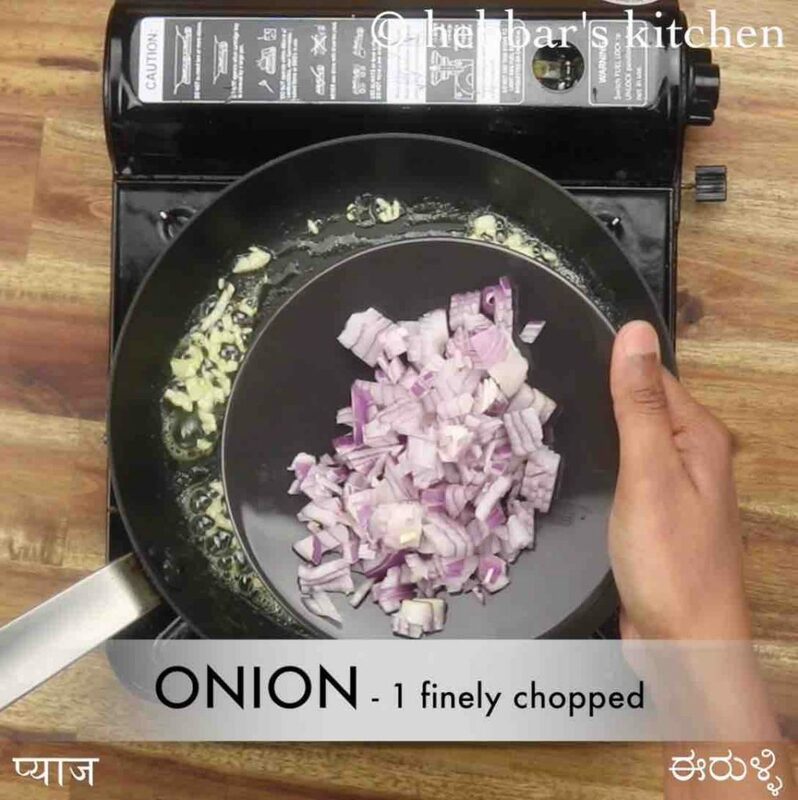 also, you can use leftover pav bhaji instead of preparing it freshly. additionally, if pav is not available you can prepare a sandwich using bread. finally, pav sandwich recipe tastes great when served hot and spicy.